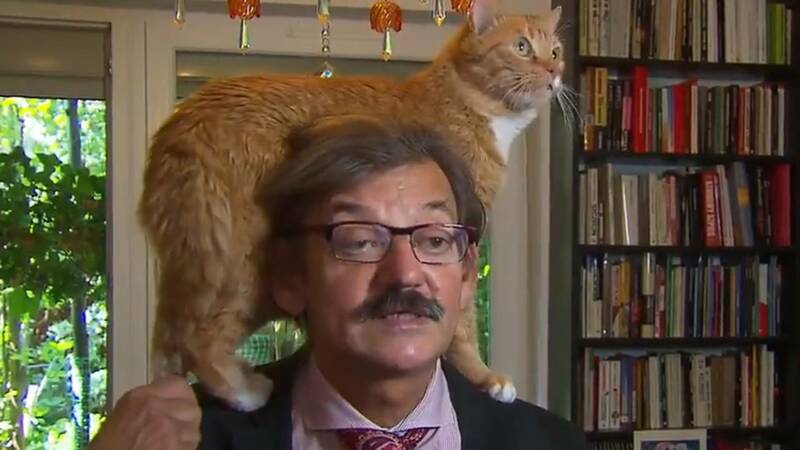 A Polish historian, Jerzy Targalski, was giving an interview with the Dutch news show Nieuwsuur and during the interview, his cat was feeling very needy. The cat, named Lisio, crawled on top of Targalski's shoulders, rubbing up against his head, ears and even sticking his tail in front of Targalski's face. The only recognition of the cat from Targalski is when he moves the cat's tail away from his face twice during the interview. The interview was about the removal of Poland's top Supreme Court Justice.